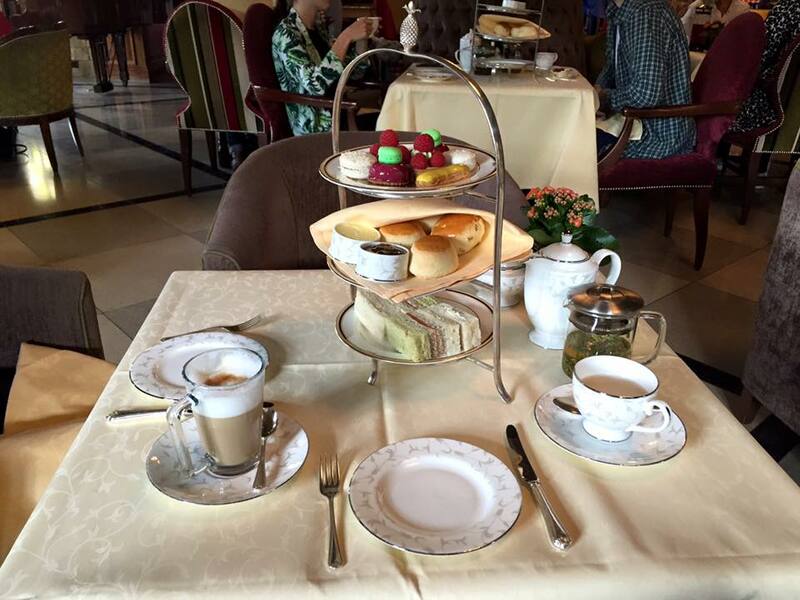 Afternoon Tea is considered something of a British institution, and we do love it. Unashamedly so. Just like a full English, it’s something with which we’re internationally associated, but don’t actually do that often. So, when looking to celebrate my Mum’s birthday, we turned to one of our favourite things to do for a special occasion: afternoon tea! 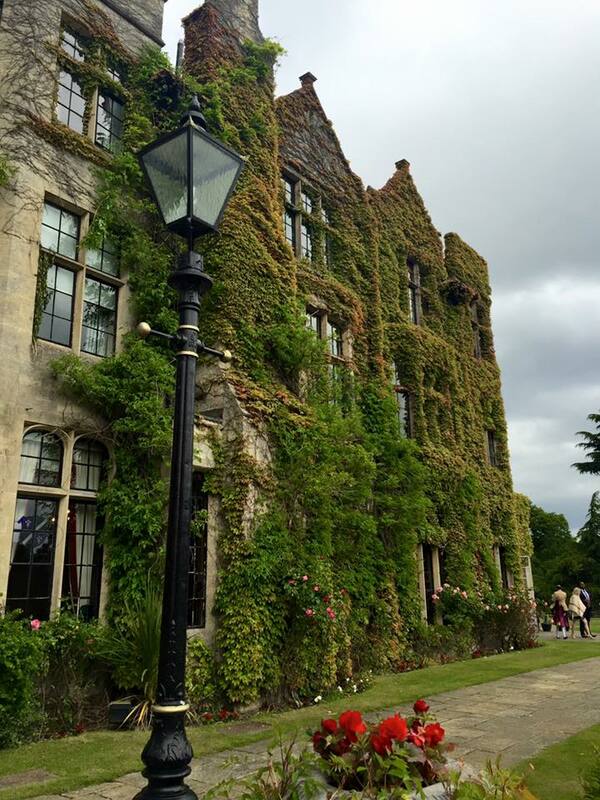 We managed to book a table at the gorgeous Pennyhill Park Hotel & Spa in Surrey, which offers a range of afternoon tea options and is a gorgeous setting for an indulgent few hours. We chose the Traditional Royal Ascot which, although the first and therefore cheapest of the varieties, comes in at £31 per person. As much as most Brits would love to have weekly afternoon tea, this is why we tend to save it for more special occasions. Although on the pricey side, the overall experience did not disappoint. Pennyhill Park is accessed by driving down an absolutely gorgeous lane flanked by vibrant pink and purple rhododenra. From the moment you see it, it’s quite clear that Pennyhill is committed to upholding its stellar, 5 star reputation as a luxury hotel and spa- every detail is considered. Once seated in the Ascot Bar, we began with our drinks while the sweet treats were being prepared. As usual I plumped for the green tea, this time of the Gunpowder variety, and it came with a cafetiere and teapot for one. From the outset the service was excellent. They were prompt, courteous and friendly, which is all we could have asked for for the birthday celebrations. And then the tiered goodness arrived. Our stand had three tiers slowly increasing in yumminess from the bottom upwards. Let’s be honest now for a second. No one usually walks away from an afternoon tea remembering it solely for the sandwiches, but nonetheless, these sandwiches were lovely, and merely a taste of the quality still to come. Above you will see the scones, which were probably the best I’ve ever tasted. I would love to know how they managed to make them as light, soft and crumbly as they did, but I was far too busy eating them to ask. Pots of homemade preserves and clotted cream accompanied them, which left only the question as to how you ’embellish’ your scone: are you Devon or are you Cornwall? If you follow the Devon way (the correct way) then you spread the cream before the jam. If you’re a staunch Cornwall supporter (as my mum is) then you spread the jam before the cream. Yes, this is an actual debate. If you thought I’d mention the debate on how scone is pronounced, then that’s quite easily resolved. It’s scone as in gone, not scone as in phone, which is what you’ll need in order to call yourself a taxi after the embarrassment of mispronouncing it. The top layer was really worth waiting for thanks to the rich, colourful array of homemade macaroons, tarts and eclairs it presented. Delicious food is one thing, but beautiful delicious food is another. My favourite treat was the little pistachio tart you see below, which was decorated with five raspberries atop its light pistachio sponge and cream filling. Words can’t do it justice, it was perfect. After we’d devoured the top tier, we had a wander around Pennyhill Park’s beautiful grounds. There was a wedding going on while we were there, and it’s easy to see why the happy couple chose this as the venue for their special day. It’s absolutely gorgeous. The main building itself looks as if it could have come straight from the pages of an Evelyn Waugh novel, and the grounds and flowers are immaculately kept. I would love to see it in the autumn as all the rich amber tones start to emerge. If you’re in Surrey and looking for a wedding venue, then I can’t think of many places more perfect than Pennyhill Park. Oh, and the afternoon tea is a force to be reckoned with, too. 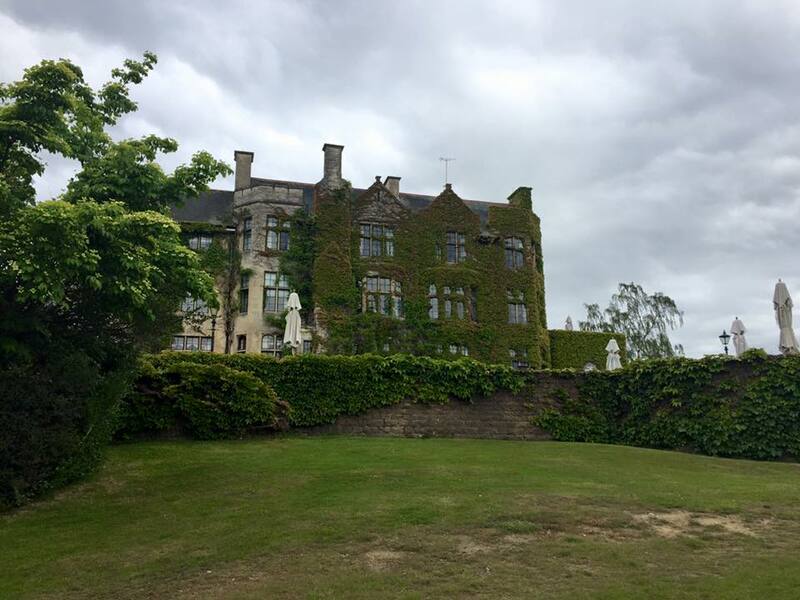 Find out more about Pennyhill Park Hotel & Spa on their website.